Norman Reginald Cope was born in 1894, the third son of George Eugene Cope and his wife Martha Allingham, nèe Ellem (1870-1951). In 1919 he married Ruth R Jones at Sydney. He died on 16 March 1960 at Newtown. Cope was a resident of the inner-Sydney suburb of Redfern for most of his life. Reg Cope was a strong supporter of the Sporting Bodies and Aged Citizens of Redfern. 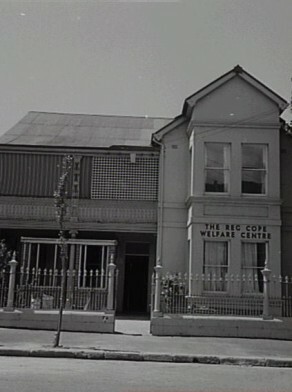 On 20 June 1960, a welfare centre for aged persons at 55 Pitt Street was renamed the Reginald Cope Welfare Centre in appreciation of his work for aged persons in the Redfern district. Reginald Cope was a former member of Redfern Council. On the City of Sydney Council, he was Alderman for Redfern, 2 December 1950 to 30 November 1956; for the City Ward, 5 December 1953 to 4 December 1959; and for Northcott Ward, 5 December 1959 to 16 March 1960. He was a member of the Works Committee, 1951-60; the Health and Recreation Committee, 1951-60 and its vice-Chairman between 1957 and 1960.